When you are in the recovery process, your friends and family can be your rock. They can be there to love you, laugh with you and cry with you. Sober living is not easy but having people who truly love and care for you can make it easier. As you go through the process, you may want to show the people who have stuck by your side gratitude and how thankful you are for them. This can be fulfilling for both you and them. Here are a few of the ways you can show gratitude. One of the best ways to show gratitude to some is to give them a compliment. When someone tells you how much you mean to them and offers up what they enjoy about your personality, it can make you feel warm, wanted and appreciated. The same is true when you tell someone else. It can instantly bring a smile to their face, make them feel appreciated and show them that you care for them. Another way to give a compliment is to randomly show an act of kindness to someone. Open a door for someone, or some type of act that shows you care about them and want to express gratitude towards them. 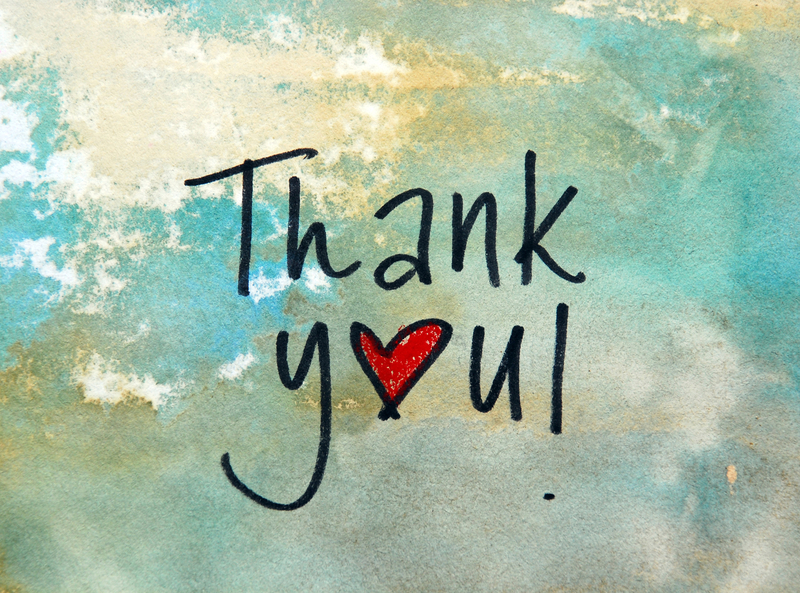 Say Thank you often, it is very polite and thoughtful and goes a very long way in creating positive energy. Another way to show gratitude for some is to volunteer to help someone with tasks. Perhaps you know that they hate mowing their yard. Volunteer to help them do that task. Or maybe they have trouble getting out and going grocery shopping. You can offer to help them with this task. Volunteering to help someone shows them that you appreciate them and helps you to reciprocate the help and support that they have provided to you. The last way that you can show gratitude to someone is to write them handwritten notes. Not everyone is good about voicing how they feel. If you are one of these people, writing a note just saying how thankful and grateful you are for someone else is a good option. It lets the other person know you appreciate them and allows them to read the note over and over. Yes, email has a similar communication effect if not the same. In todays world email and text is quick and even instant in some cases. How you communicate your notes is not as important as the expression of words you communicate. Sober living can have its challenging moments. But the right family, friends and resources can make things a bit easier. Here at My 12 Step Store, we offer many books, trinkets and other small items to help make sober living a bit easier and to reward yourself for sober living. Visit our web store today to learn what products we have to offer. This entry was posted in Uncategorized and tagged gratitude, recovery, relationships, sober, sober living. Bookmark the permalink.